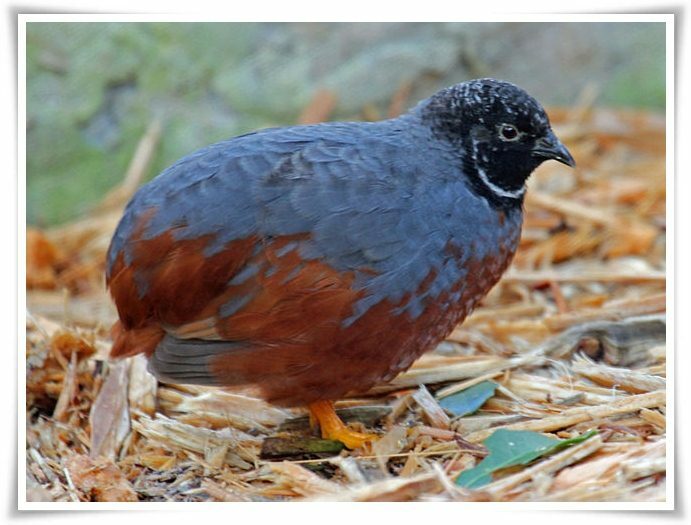 Quails are medium sized birds that are members of the pheasant family like peafowl. Their feathers are tan with black markings and they have orange feathers on their chests. Their flying consists of short, rapid burst of flight. Some varieties of quail are capable of flying long distances. Their call is a coo like sound. The common quail is a small ground-nesting game bird in the pheasant family Phasianidae. Quail live in North America and in various deserts around the world such as Europe, Asia, Africa and Australia. Quail eat seed, plant parts and sometimes insects. That is why they're classified as omnivorous animals. They live in forests in nests on the ground. Main predators of quails are cats, foxes, coyotes, raccoons, hawks, owls and snakes. Quail are mostly seed eaters but will also eat insects and other small prey. These birds originate from North America, but they can be found in Europe, Asia, Africa, Australia and South America . There are 32 species of quails that differ in size, color and type of habitat where they can be found. Quails can be domesticated and kept as poultry that produce high quality eggs. Quails are able to fly in a short distances, but they spend most of their time walking on the ground. Quails are medium size bird. who can reach 4.5 to 7.8 inches in length and 2.4 to 4.9 ounces of weight.